RADIANCE is FREE today for a limited time! #FREE TODAY from my publisher! AFTERGLOW is free today for a limited time! #Ghost Fire is free today for a limited time! BURNING is free today for a limited time! 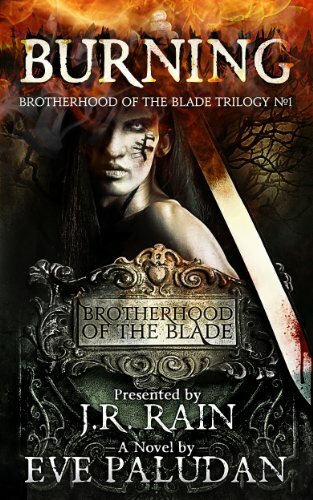 BURNING (Brotherhood of the Blade Trilogy Book 1) is free today for a limited time! Thanks to readers who are snapping up Vampire for Hire: DEAD AHEAD! I hope you will read my first book in the Crescent Moon Mystery series. It was such a fun one to write, and launches a brand-new series of Samantha Moon full-length novels (this one is 50,000+ words). It’s edgier fiction than you’ve seen from me before, with almost nonstop action and excitement, plus a couple of paranormal mysteries to solve for Sam and her teenage kids! The kids are really coming into their own and Fang the vampire and Kingsley the werewolf help out, too! Please check it out. I would love to know what you think of the new direction of my Vampire for Hire thriller fiction!